I guess its funny to me, because the photo is reported to be him writing "the Snows of Kilimanjaro" and I'm headed there soon. Plus, he's why I ever got to Africa in the first place. Does Hemingway's Africa still exist? Thought is a means to the end of action, and most freedom activists have forsaken the cold, tough environment of action for the warm, safe bed of thought. Does Hemingway's Africa still exist. Yeah, but not in some ways like it used to, where no roads, and took forever to go from here to there. But still in Tanzania, plenty primitive out away from town. Though PHs these days try to make it "too" comfy for hunters and 5 star meals and stuff, so for me, too comfy. But believe you can still find a great experience there. You can still get a taste of it. As mentioned, Tanzania has areas, as does the Luangwa Valley in Zambia. I went there just last summer, and as far as remote it is. Camp 6 hours by vehicle from the nearest real town. Local villagers wear hand me down Western clothes and kids have a school of sorts, but still live in grass huts. Game is still there, the rivers full of crocs and hippos, and the lions roar at night. 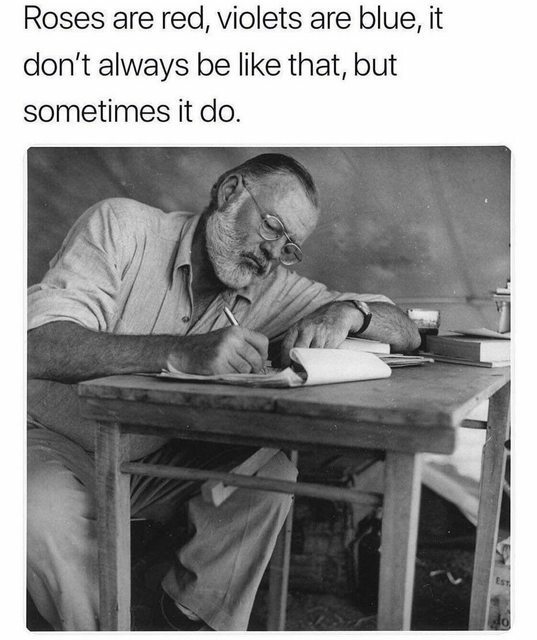 Hemingway went to Uganda for his last safari, if I'm remembering. Not really interested in going there right now. So yes, for a price you can still see some "wild" Africa, very similar to what Hemingway and Ruark experienced. Won't be available much longer, I fear. I was expecting real Africa in Burkino Faso this year. Not sure if it is or not but it appears I will never know. There was a ten hour drive from the airport to camp. Some poems rhyme / This one doesn't. Oops! Forgot to log in. There, that's better. As for Africa like Hemingway experienced, I suppose you can get close in Tanzania. I have seen all manner of beast there, no fences and a native population with very little material goods but always smiling and jovial. Lions, elephants, leopards, crocs, hippos, three cobras in camp and all plains game including many big sable were abundant. But, as mentioned above, our accommodations were not nearly as rustic.